Genre: horror, thriller, historical-past, magic-science, Paris! This is the story of Anouk and Aurélie, two headstrong, rebellious girls living more than 200 years apart, and a French chateau filled with secrets, horror and mystery. 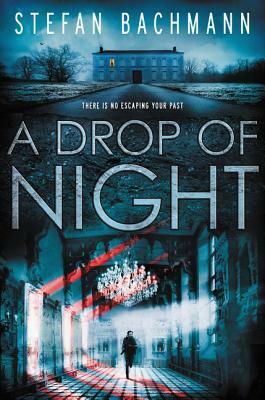 A Drop of Night was an interesting and creepy read. The story is told in two different timelines. The first timeline tells the story of Aurélie who is living in the late 1780. Her father is building a palace beneath his palace and it will harbor a dangerous secret. The second timeline is the story of Anouk in present day. Anouk just found the perfect way to get away from her family. She was invited to join an elite group of students to help unearth a palace from the French Revolution, The Palace of Butterflies, just outside of Paris. Both of them are in for really big surprise when they discover what is lurking underground. This story mostly follows Anouk as she began her adventure. She gets this letter and starts the testing to become part of this expedition. This letter basically gives her the chance of a lifetime to travel to Paris, all expenses paid. She should be excited at the opportunity. She isn’t. She is the type of girl to question everyone. Her only reason for taking the invitation to the expedition was for the chance to get away from her family. Anouk is a girl with a chip on her shoulders. It wasn’t clearly explained why, but I understood her anger. She is an angsty young adult, so she doesn’t really need a reason to be aloof and anti-social. It may be the reason she was chosen for this project. Maybe.